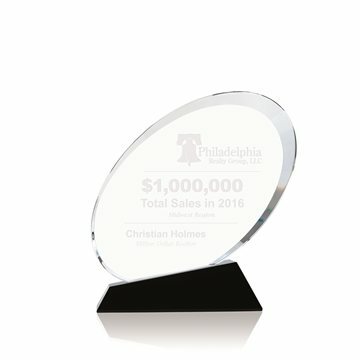 Oval shaped award on unique angled base. I'm really happy with this overall! Excellent cost. This item went over like crazy with both staff and clients. I got these very quickly. I could not be any more satisfied than I am now. Thank you for the good job. I found the AnyPromo.com price to be very reasonable. the students were very happy and enjoyed them. You can't beat the price and the customer service. AnyPromo is HIGHLY RECOMMENDED! Thanks for everything. I have dealt with you several times previously. I have ALWAYS had good service and great product.